Page 62 — a bit of a shock for Sami and Gull! And as for Maggie? Who knows what goes on in that furry grey head? 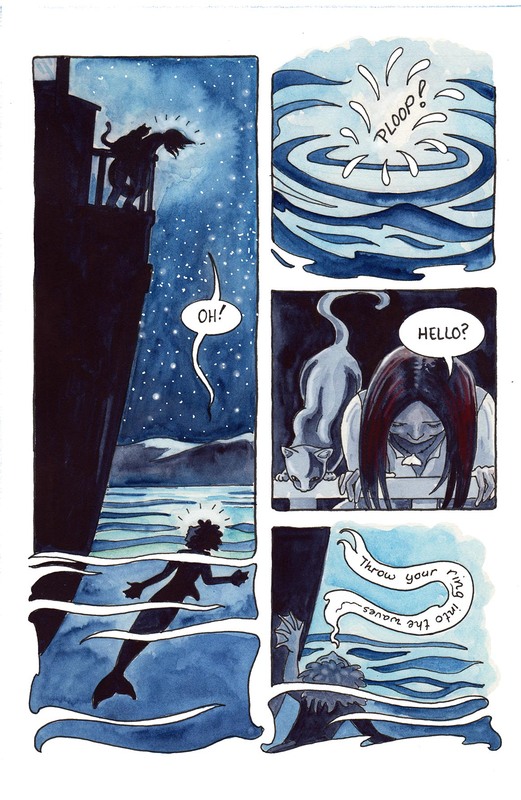 This comic was posted in Mermaid Music and tagged cat, comic, fantasy, graphic novel, merfolk, mermaid comic, sailors, sea comic, ship, watercolour, webcomic.